Provide comfort for the family of Wayne Cole with a meaningful gesture of sympathy. 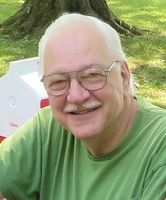 Wayne E. Cole, 73, passed away peacefully on February 7, 2019 at his home. Wayne graduated from Clarkson University with a Bachelor of Science in Electrical Engineering and a Master of Business Administration from Syracuse University. Wayne also participated in a ROTC program. He was a member of the National Association of Insurance and Financial Advisors (NAIFA); a Chartered Life Underwriter (CLU); a Life Underwriter Training Council Fellow (LUTCF); a Certified Long-Term Care Specialist (CLTC); a member of the Industry’s Million Dollar Round Table (MDRT); and a registered representative through NYLIFE Securities LLC, member of FINRA/SIPC. Wayne was predeceased by his wife of 50 years, Mary Jane (2016); and his parents, Fenner and Olga Cole. Surviving to cherish his memory are his daughter, Julie (Sir William) Harzinski of Liverpool; three sons, James (Susan) Cole of Cicero, John Cole of Manlius, and Jeff Cole of Manlius; grandson, Brandon Cole (Brittany Barzee) of Cicero; granddaughter, Bridgette Cole (Mark Krmenec) of Syracuse; two great-grandchildren, Ava Marie Krmenec and Levi James Cole; and brother, Wendell (Jacqueline) Cole of Bridgeport; along with several nieces and nephews. Wayne was a loving husband, caring dad, and a friend to all. His family meant everything to him, and he meant everything to his family. The family would like to thank the staff and Home Health Aides of Nascentia Health. They would also like to thank Hospice of CNY. Calling hours will be Monday from 10:00 am - 1:00 pm at Eaton-Tubbs Fayetteville Chapel, 7191 E. Genesee St., Fayetteville. Burial will be private. Sending my condolences to The Cole Family - Wendell and Jackie, Jeff, John, Jim, and Julie. I have great memories of my cousin. He will be missed. So sorry for your lose. Prayers and Love to all of you.